For the quickest response to your enquiry please follow these links. Hello there. Hope your doing well. Is this one of you guys ? Michael writes for Betting School and I also workl with him on Puntology and Pro Ratings, he’s a good guy! Sorry!!! Just a concern from an hesitating beginner like me. I came accross with betting-school.com and bet72.com while browsing. At the beginning I thought it was a same site. Which one do you advise me to subscribe with? The two or one. Let’s say that I’m looking for something to learn and gain money (later or right now). This message to you because you seem to be the same owner of the two sites. Thanks for your comment, the Bet 72 site isnt actually mine, but I’ll tell you what I know and hopefully it will help you make a decision. The main aim of the Bet72 site is to help people to make money by taking bookmaker introductory offers and getting the free bonus amount out of the account and into your pocket. Darren Hall seems to be very succesful with that. Here at Bet School we aim to help our readers to make money by placing winning bets and by uisng software to help automate betting. We have a team of industry experts (published authors, industry commentators etc) that analyse events and advise methods for future profits, we also include free tools for automating your betting. and is it a god tool for laying. I havent seen this tool but I imagine it is based on the VRR Lite method. This method is intended to short list selections that are then further analysed before making final selections, it is not intended that all selections are bet without further analysis. On joining what are the first five most reliable systems that I should look at starting to use that will make me a profit. I would prefer high strike rate systems and those that will make me consistent profits. Also, by using these systems how much profit per 12 months am I likely to make and what sort of betting bank should I have. Any advice on the above would be greatly appreciated. To start with I would recommend that you follow the Easy Lay Method and Easy Back Method selections that are free to all members, these have been profitable over the long term, they are not high strike rate but are reliable. Size of bank is a personal thing but for any method should be at least 20 times your stake. I would advise that you set aside what you can spare and then allocate a percent of that for each method that you follow. EG you might stake 1% on each ELB selection but 4 or 5% on something with a higher strike rate. We have many automated methods also and I would advise you to build a portfolio from what we have available. Ideally we dont want all members using the same 3 or 4 methods as this can impact the effectiveness of them, it is better that you choose. The people that make a success of this are those that accept that they need to take the slow and steady approach. Hi Darren,Hi Darren,Sorry!!! Just a concern from an hesitating beginner like me.I came accross with betting-school.com and bet72.com while browsing. At the beginning I thought it was a same site.Which one do you advise me to subscribe with? The two or one.Let’s say that I’m looking for something to learn and gain money (later or right now).This message to you because you seem to be the same owner of the two sites.Thanks for your reply. Bet72 is not my site so it would be wrong for me to say which is better. Betting School aims to educate on how to bet or trade to win, we focus mainly on horse racing but with some other sports covered where we think there is a profitable angle. 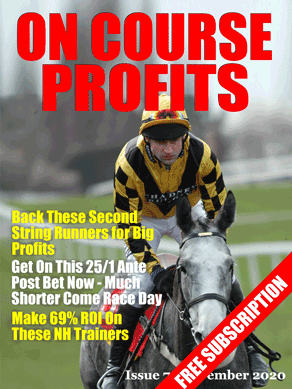 As I understand it Bet 72 is focused on getting bonuses from bookmakers for opening new accounts and how to get that money from the bookmakers. hi , i have a question about horse racing. when we bet any horse we win only when it comes first place or we can win if it comes second or third place . for example i bet on three horse . all they come first 3 places. i win for all 3 or just for horse which comes first place ? If you are betting on Betfair there will be two markets that you can choose from 1 will be the win only market and will pay out if you back the winner, the other is the place market and will pay out on horses that finish 1st , 2nd and often 3rd, sometimes 4th. The exact number depends on the number of runners and will be stated in the rules. The prices will be lower in the place markets but as you say you can win more than one bet. thanks for answer . my second question , i am new to betfair and i dont now how to choose place market . can you help please ? my 3 question . i watched video and learned how to green up but when back bet is higher than lay betfair unmach the bet . how to resolve this problem ? thank you for the 33/1 winner at goodwood! sadly i only had the money in my williamhill account, im expecting you got alot better odds as betfair, however 10 pounds each way is still a lovely win on a friday! As you seemingly exist for the same reason I do, education of the masses to increase the likelihood of extracting money from the bookies, I wondered how interested you might be on my website (www.soccersystembuilder.co.uk). I spent too many years trying to reinforce the ideal of back testing systems to many people who will paper trade just about anything. Sometimes I am correct, other times I am deemed an idiot as someone turns a profit from a mere 50 bets. So I created http://www.soccersystembuilder.co.uk to speed up peoples abilities to back test and see just how hard it is to derive profit from football using conventional methods. I hope you find it interesting. Get it touch and I’ll let you see the full extent of what is available. Sounds interesting, I have asked Steve to contact you to see how we can use this for our own research. Hi Do you have an email address? Laying the field certainly works but of course you have to get the prices right which means there is an element of knowing which way the market might go. For example you may decide to lay everything at the current back price and if you are matched on all you will make a profit but if the market moves before you are matched, which it invariably does then you may get yourself in a losing position on some of your selections. If you keep up with the course news and the various online resources you can add some prediction of price movements into your strategy and this will help you to keep on the right side of the profit and loss line. So yes it can be profitable but it’s not an easy task, skill/work is required. Yes medium to long term is the best way to assess the tips and they stand up when assessed this way with some highs and lows along the way. They are all available in the members area. be backed to win, dutched or a start point for further study. Both sets of selections are showing healthy profits. Does the Winners page document all tips given to members or just those that either came 1st or were placed 2nd, 3rd or 4th? I am thinking of joining (initially on a monthly basis) but wanted clarity with regards to total bets versus winners and places. We only highlight the winning and placed bets. i can t access insiders club and members forum. You should have received an email containing your login details for the members website (http://www.betting-school.com/membersonly). The same login details will now allow you to access the members forum. If I recall you or someone at the betting school were going to contact me when the Kip Bot was up & running & if so how well it was performing? i only want to read about staking methods, especially dual bank method. A monthly subscription is currently �29.97 per month. I would recommend gruss betting assistant, it’s very good and also very cheap and has a 30 day free trial, just google it. Dear all, have been subscribed since April, and appreciate the tips and info greatly. However, last Sat 10 th no email.Ditto Mon & TUE . Email appeared in Junkmail on Wed onwards. Today, Sat 17th , no email again.Would welcome help. Many thanks, Bill.